Dark Chocolate Pumpkin Seed Butter Spring Flowers. All this talk about the benefits of dark chocolate from Tuesday’s post got me thinking about a way to add a little more chocolate to my daily routine. Lately, I have been snacking on pumpkin seed butter spread on dark chocolate scraps leftover from my debacle of trying to make almond butter flowers. (Read about it here.) I have been obsessed with this tasty treat. I also recently found a really cute flower ice cube tray mold at Ikea and was excited to put it to use. 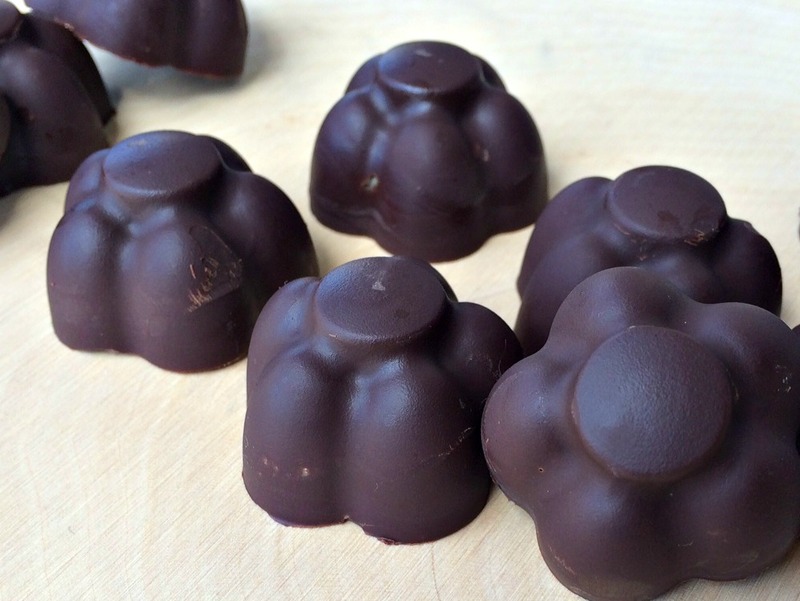 I had seen many recipes for homemade peanut butter cups on the internet but I thought if I incorporated pumpkin and flax seeds into my chocolate, it could add a boost of omega 3′s. 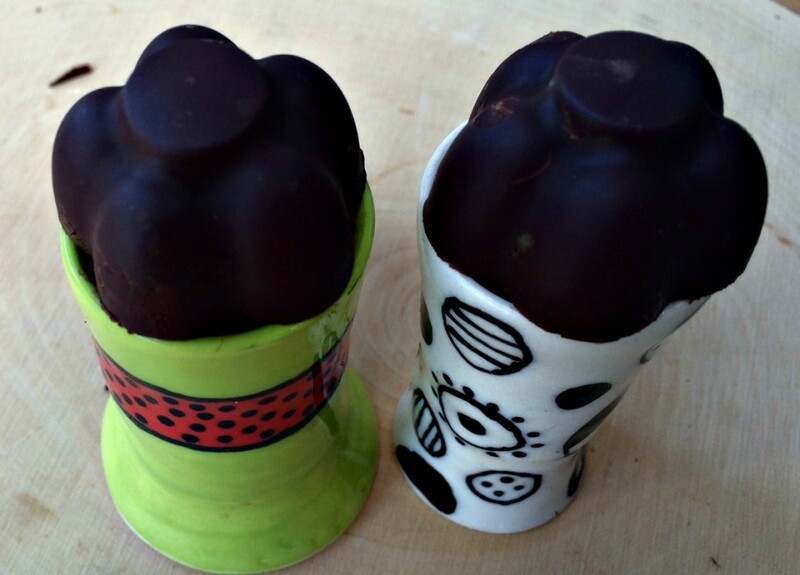 Cute mold filled with chocolate. I had a little extra chocolate so I also used a mini muffin tin to make some traditionally shaped pumpkin seed butter cups. This works great and obviously tastes just as yummy if you don’t have a fancy mold. After I filled the mold, I put it in the freezer to allow the chocolate to set up. Once the chocolate was hard, I added my pumpkin seed butter to the mold and then poured another layer of chocolate over the nut butter. Be sure to cover all of the pumpkin seed butter. Hardened chocolate with pumpkin butter. My pumpkin butter did not hold together too well but I figured it would be okay because the melted chocolate would be able to hold it in place. I thought about adding more coconut oil or blending it longer but felt it would work fine once the extra chocolate layer was added. And look, I was right!! finished pumpkin butter dark chocolate flowers. OH! THESE ARE SO YUMMY! 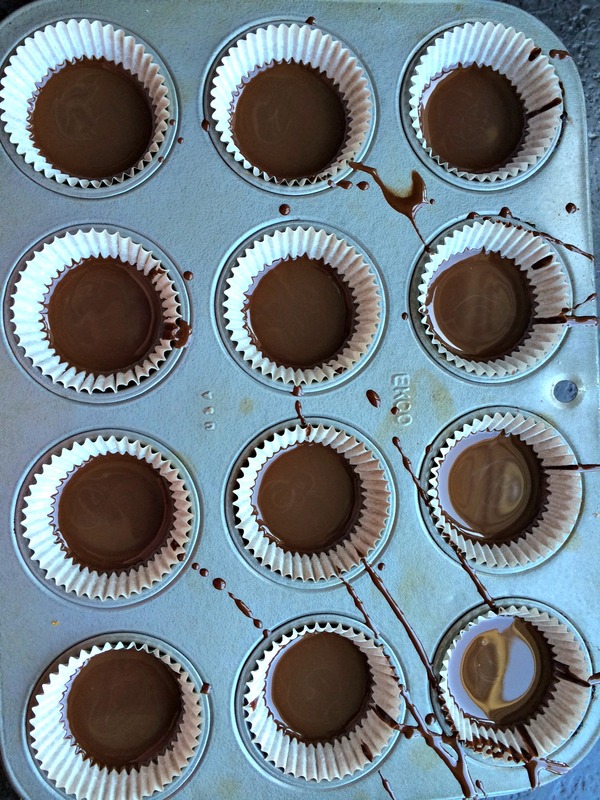 Place chocolate in a double broiler on the stove. Add one tbs of coconut oil and allow to melt. While melting, grind pumpkin seeds,flax meal, honey and remaining coconut oil in food processor. 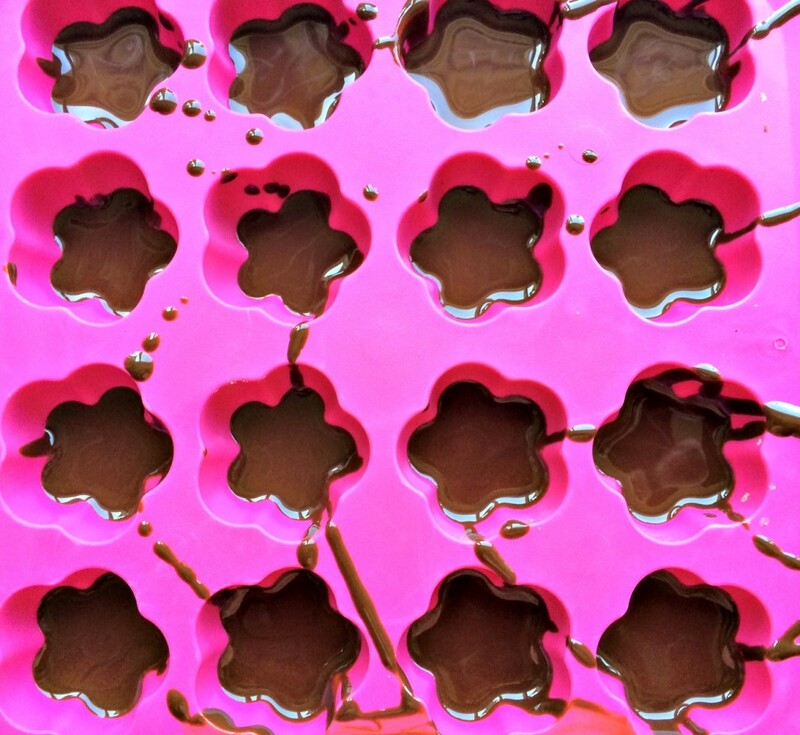 When chocolate melted, put thin layer in bottom of mold. Place in freezer for about 10 minutes or until hard. Take out of freezer and place small amount of pumpkin seed butter in the mold. Pour another layer of chocolate around the pumpkin seed butter. It should completely cover the butter. Pop the flowers out of the mold. 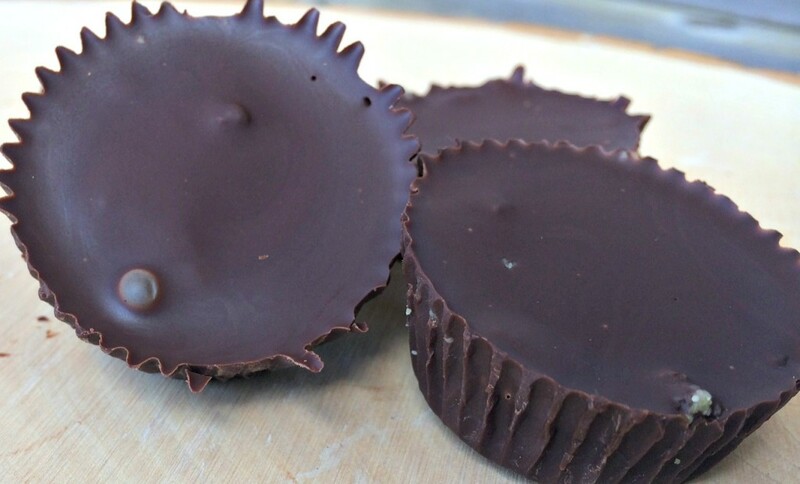 These dark chocolate nut butter cups could be made with any nut butter you desire. In my opinion any nut combined with dark chocolate is a yummy combination! What is your favorite nut butter- dark chocolate pairing? This post was shared with Food Renegade, Gluten Free Cat, Homespun Oasis, The Idea Room, Rock My Vegan Socks, Today’s Creative Blog, Urban Naturale, Live, Laugh Rowe and A Glimpse Inside. I will come check you out. I love checking out all these blog hops! So many smart people out there! These look so amazing – and easy enough that I think I could make them without messing them up too much! Delicious! These look so good. I need to get some pumpkin seed butter! Greetings from Simple Lives Thursday. What an amazing chocolate treat! 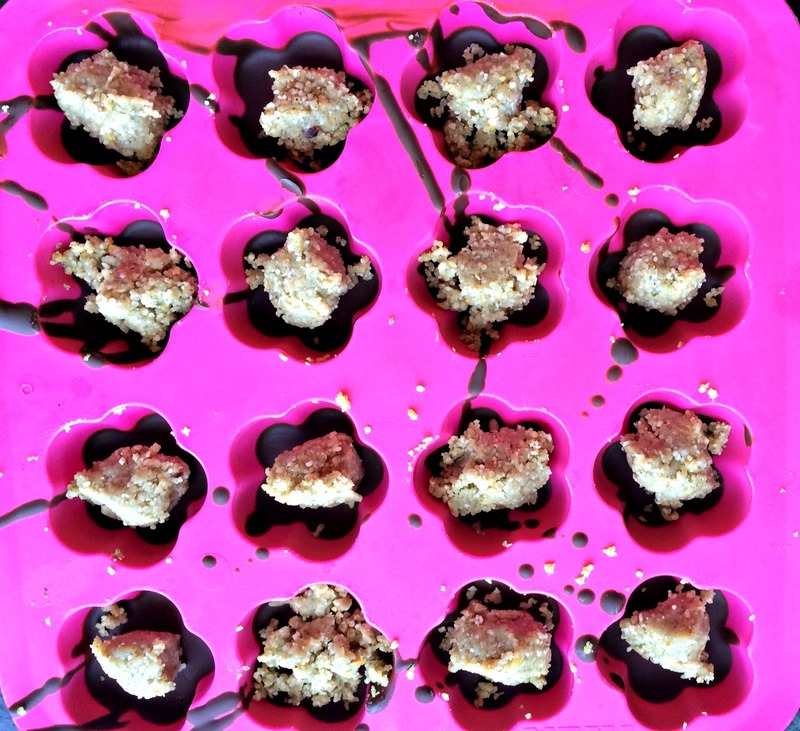 Dark chocolate is so good for us–and I am delighted that you shared this healthy and delicious dessert with us at the Plant-Based Potluck Party Blog Hop! We appreciate it and I can’t wait to make this! These look amazing! I am definitely going to try it. 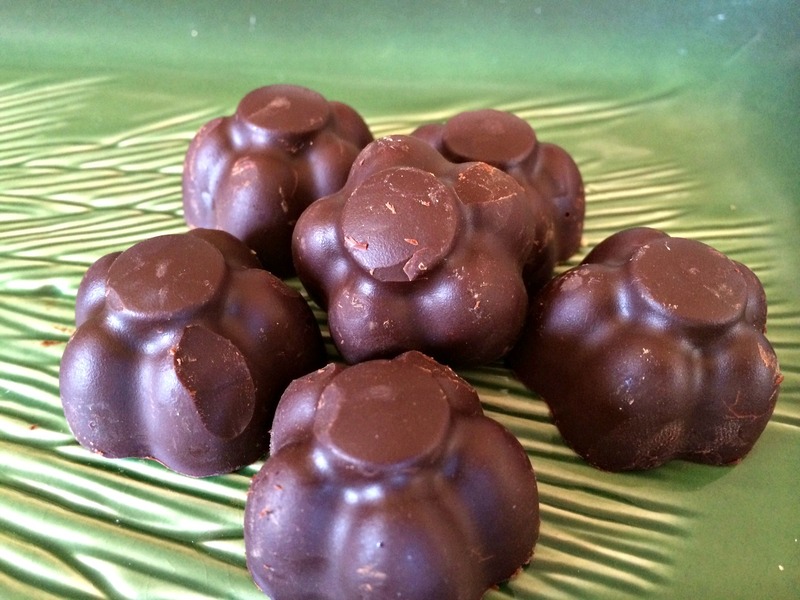 I make my own dark chocolate using only coconut oil, cocoa powder and honey. I don’t even mind if my kids have it for breakfast!